Looking For Your Car That Was Towed On Oahu? Where's my car been towed to? Has your car been towed? Looking for your car that has been towed? We DO NOT tow illegally parked vehicles or impound vehicles. If your car has been towed, the best thing to do is to call HPD at 911. This will ensure you that your car has in fact been towed and not stolen. 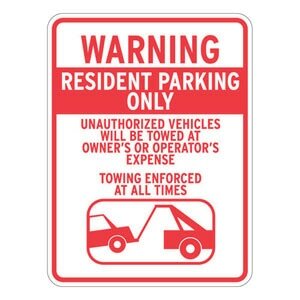 If it has been towed they will be able to assist you in locating your vehicle. You can also check around the area that your vehicle was parked last to see if there are parking regulation signs. The signs may have the towing company's info that is contracted to manage the area. If you were parked in a public area, contact HPD at 911. We, at Oahu Towing Company, are currently NOT contracted to manage any private parking areas nor tow for the City And County Of Honolulu. If your vehicle has been towed, again call HPD at 911 or the respective towing company that manages the private property from which your vehicle was towed from. Any other towing service that you may need, emergency or not, call us at (808) 435-9250. Abandoned vehicles in public places are not just eyesores to tourists and residents in Hawaii, they also pose environmental and health risks to the local communities. Unattended vehicles may leak dangerous fluids that may flow to water sources and contaminate such. It may also be used for illegal activities by some. That’s why the Hawaii tow laws on abandoned vehicles was enacted. According to the provisions of Chapter 290 of the 2010 Hawaii Code, a car will be considered abandoned if it is left unattended and unlawfully parked on a public highway or public and private property for more than 24 hours. Authorities will put an abandoned notice on it and if the owner has not moved it more than one mile away from place it was given a notice, the vehicle will be considered abandoned and will be up for towing. The law also covers derelict cars; those damaged, inoperable, and scavenged abandoned vehicles littering the streets. Generally, so long as you park your car in designated parking areas and tend to your vehicle every day, meaning, you move it away every now and then, your car may not be considered legally abandoned. Based on the law, any movement of the car means it is being attended to and does not fall under the “unattended” description. You also need to ask permission to park from the owner of the property. Otherwise, the property owner has the right to remove your car provided that he posted a visible notice prohibiting vehicles to park. But if your car still gets towed, the following are what you need to do to get your vehicle. Get a Written Notice. If you see that a towing company is towing your car, call their attention, and they are supposed to unhook it and not charge you. However, if you’re not on the scene, the towing company or the police will simply send to your address a written notice. This includes the description of your car, where you should get it, how much you should pay and a warning that if within 10 days after the mailing you haven’t recovered your car, it will be repossessed and sold or auctioned in favor of the state. Check the Unauthorized Parking Signage. The Section 290-11 of the code states that the owner or occupants of the property should post a large sign in the parking area. The law also requires that the sign should also include where the cars will be towed to and the number of authorities to call in these cases. Where to Claim your Car. Where you may request you abandoned car will depend on whether you left it in a public place or private. If you left it on private property, the property owner is the one responsible for removing the vehicle. He may engage the help of a towing company to take away your car. If you left it in a public area, most probably, your car is in possession of the local police. Pay the Charges. Private Towing Companies and the Police Abandoned Car Coordinator might not charge you more than $65 for towing an unattended vehicle and $75 if they used a dolly. They may also charge mileage fee per mile towed and a fee for every day your car stays in their storage. Get your car. Once you’ve finished the paper work, you can get your car in the storage area designated by the police or the towing company. And you’re ready to go. Did you find the information on Hawaii tow laws useful? Kindly share this with your friends with the same predicament so they would know what to do.